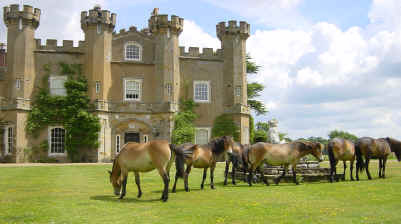 Knepp Castle in Sussex has been home to the Burrell family for over 200 years. Like most big country estates, its 3,500 acres used to be farmland, but the land is heavy clay here and not well suited to agriculture. With its farms only just scraping along, Sir Charles Burrell took a fascinating decision in 2001: he decided to let it go. Beginning with 500 acres, he began a bold open-ended experiment in re-wilding. They began by planting wildflowers on what had wheat and rye fields, and the return of butterflies and birds was encouraging enough to extend the process. Internal fences and walls that partitioned the estate were removed, allowing animals to roam freely across the space rather than remaining in fields and paddocks. Longhorn cattle, Tamworth pigs, fallow deer and Exmoor ponies were introduced and given the run of the place. These larger animals play an important role in re-wilding. In the past they would have been a natural part of Britain’s landscape, and as George Monbiot explains in his book Feral, our woodlands are adapted to incorporate large animals and predators. They don’t occur naturally any more, most of the time, so Knepp introduced their grazing animals – all species that can remain outdoors all year round and that require no additional feeding. Out in the wild, the animals grub up the ground and make clearings, creating new ecological niches and habitats. They also dislodge and move seeds around. They have no predators and populations may get out of hand, but the estate culls animals for meat instead. Since this is free-roaming wild meat, it fetches a higher price and keeps the project economically viable. Once the rewilding takes hold, it may be possible to re-introduce some other ‘missing’ species, such as bison, elk or beavers – all animals that may have been present in the area in the past. As well as turning over the estate to the animals, the river Adur has been liberated from channels and culverts and allowed to meander and flood. This opens up ponds and seasonal floodplains, all providing new habitats for birds, insects, amphibians and plants. It is apparently the biggest stretch of river to be re-naturalised in Britain. In order to track what happens, the estate carried out a ‘baseline study‘ before the rewilding began. That provides a comparison, and regular wildlife surveys can see what’s new and how things are developing. So far there has been an explosion of biodiversity, especially insects. Rare beetles and butterflies have become well established, birds and bats are much more plentiful. 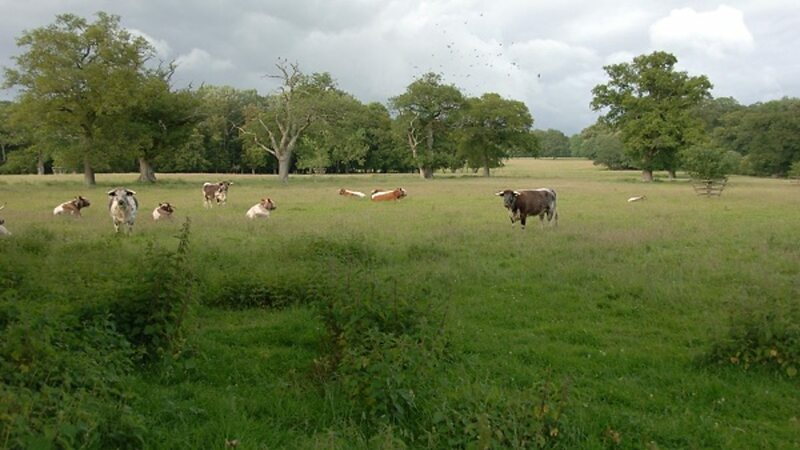 Because it’s being done at a fairly large scale at Knepp Castle, it is hoped that some species will be able to get a foothold there and go on to re-colonise the nearby countryside. The project has taken a degree of nerve. Some people disapprove, and think the Burrell’s have essentially abandoned their farm – though of course it is a different form of farming rather than a wholesale abandonment. And the rewilding process can be disconcerting. The first thing to grow was thistles, and whole fields were overtaken by ‘weeds’ rather than wildflowers. But thistles are a pioneer, and they yielded to greater diversity in later years. We have to feed ourselves, and there’s no suggestion that Britain’s productive farms should be turned over to the wild. But where farming is uneconomic and being kept alive by subsidies, Knepp offers a different model that we may want to learn from. You can find out more at their website, or from the Telegraph.